Are you getting married on New Year's Eve? Check out this awesome post (thanks Melissa) about really amazing looking stationary one couple used for their wedding. 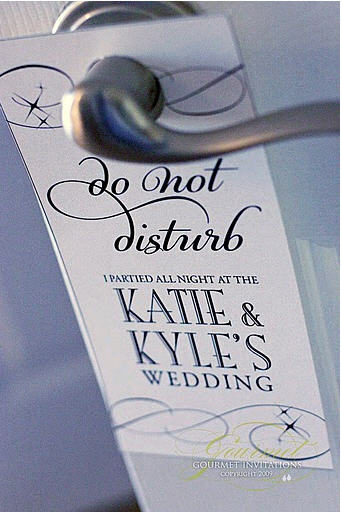 My personal favorite is the "Do Not Disturb" signs for hotel guests for post-party snoozing.